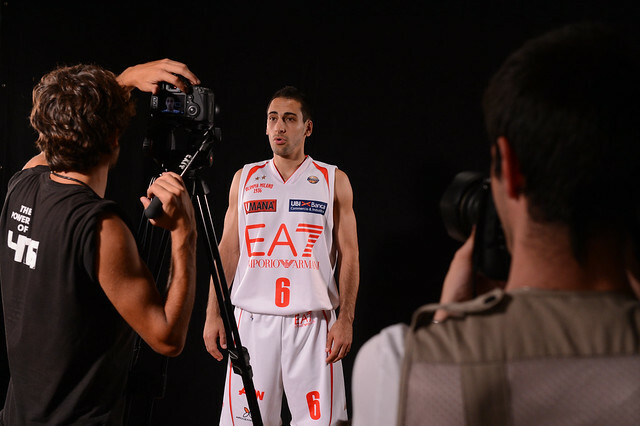 Rok Stipcevic is the only Croatian player playing for Emporio Armani Milano. The Zagreb game on Friday is gonna be a special one, because he returns home and it’s also his first time against a Croatian team wearing a foreign team jersey. “Cedevita lost badly in Kaunas, its first Euroleague game, but the team is different, is much stronger, it’s playing much better than that. It has experienced players, the gym is going to be full and they’re going to do everything they can to win a game they need. But we need a win too”, Rok says. ON HIS CROATIAN RETURN – “It’s my first game in Croatia as an opponent. It’s nice to go home, I’ll have the opportunity to see many good friends, but at the end of the day I’m a professional, I play for Milano and will do everything I can to help Milano win the game. I know many Cedevita’s players, some of them are my teammates with the National team. But on the court, you don’t know them. I want to win, they’ll do the same”. ON MALJKOVIC – “He’s a legendary figure, but I never played against one of his teams. I know he was the great coach of the great Split team, but I was 3 or 4 years old, to me that team is a great story to listen, to read about, a fascinating legend and obviously nothing else. It’s going to be an honor to play against his team”. ABOUT CROATIA – “Our National Team went 8-0 in the qualifying round, it was a big step up, we built the fundamentals to play a great European Championship next year in Slovenia. We have many good players, young ones, old ones, we need to mix it up really well. The country deserves it because it’s basketball crazy and we have a lot of good players to rely on”.